KEN YUSZKUS/Staff photo. 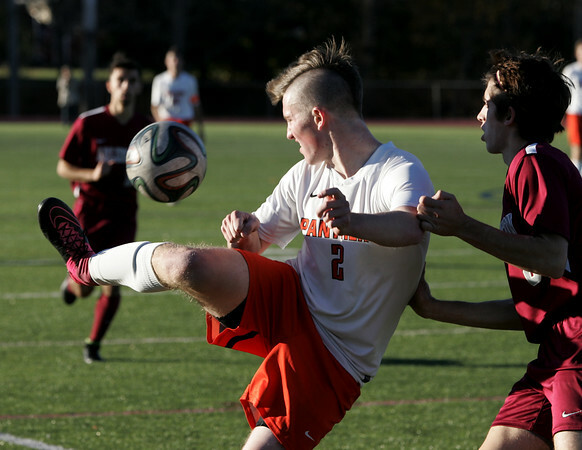 Beverly's Ewan Sellars stops the flying ball with his leg during the Arlington at Beverly High boys soccer state tournament game. 11/09/15.